Almost three months ago, our family went through an unforeseen event that we hope never to happen again. 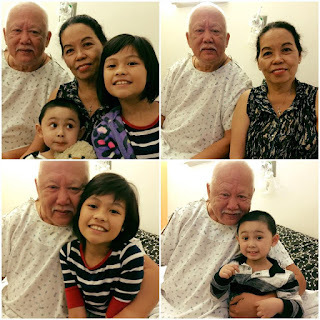 My Dad suffered a heart attack and had to undergo angioplasty. Traumatizing may be one of the terms I could use to describe what I and my family felt but more than that - it was hopelessness and regret. My Dad at the hospital 3 months ago. You see, I've always looked at my Dad as my hero, I thought he was invincible that we never realized that aging and his lifestyle would soon affect his health. He used to smoke a pack a day, had occasional drinks with friends and would munch on "chicharon" while watching TV. So when things went awry, reality set in - we needed to change some things around here. Money-wise, my parents fall under the conservative type. They don't believe in investing and their best bet has always been their savings account. But then again, even their savings wasn't enough to prepare us for the financial requirements hospitalization would require. Needless to say, the angioplasty cost more than an arm and a leg. I was shocked to see the bill for myself. It was a good thing my siblings and I had some savings and there were friends and family who were kind enough to chip in. But still, I was thinking long term, what about the future? His medicines and the regular visits to his cardiologist? So when I said that we needed to change things around our household, I wasn't only talking about our lifestyle, I am also talking about our financial habits. It's a good thing SUN LIFE is here to help me and my family to begin our journey towards financial independence. 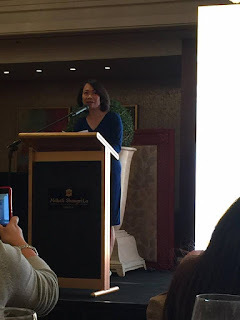 I have always been an eager attendee when it comes to Sun Life events, each time I get invited, my mindset on money and investing becomes wider. I know, I know, I should've invested a long time ago, but first, I wanted to be sure and financially prepared before jumping into the fire pit. 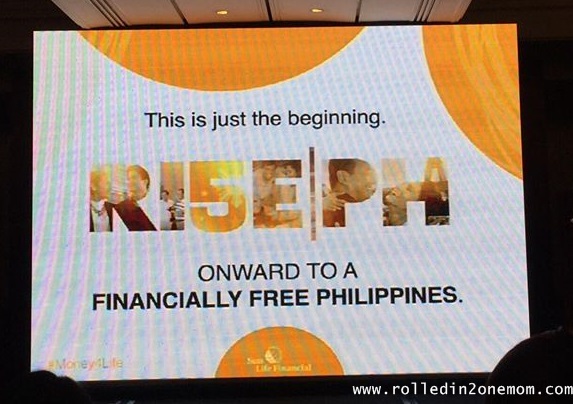 So when Ms. Riza Mantaring introduced the RISE PH initiative, I became even more eager to start investing. "RISE PH" champions financial inclusion in the Philippines, where only a small percentage of the whole population utilizes financial products such as insurance and investments. "Despite the bright prospects that the country's economy has, prosperity still hasn't trickled down to the more disadvantaged sectors of society. We have to address this," Sun Life President and CEO Riza Mantaring said. "Sun Life would like to see more Filipinos looking forward to a brighter future and the whole country rising to greater heights. We would like to start by targeting five million clients in five years." With this initiative, I was also inpsired to DREAM BIG. And in order to reach their goal, several initiatives will be launched under 'RISE PH". These initiatives will have SUN LIFE reaching out to a broader market, further boosting its financial literacy advocacy and expanding its reach nationwide. 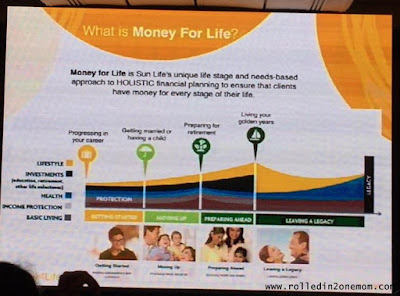 As June being declared as FINANCIAL INDEPENDENCE MONTH, Sun Life launched several initiatives to promote financial literacy. One of which is the cooperation with 8990 Holdings, Inc., one of the top mass housing developers in the country. Another initiative is MONEY FOR LIFE, a comprehensive, customizable financial planning program that will ensure that a client will have sufficient funds for every stage of his life. 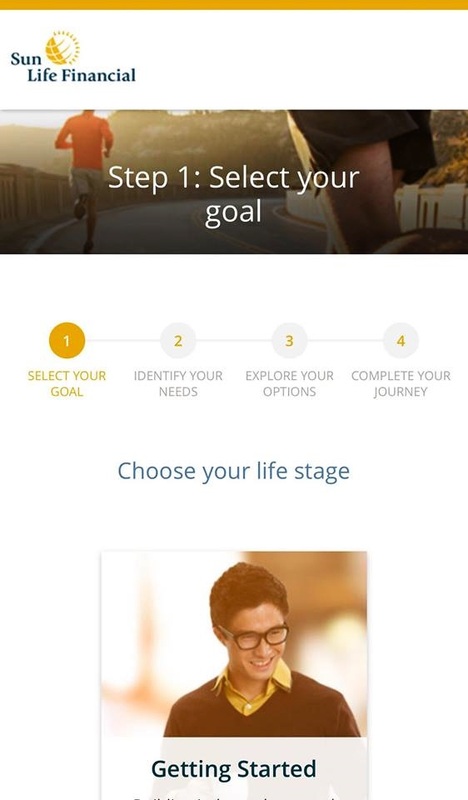 To make your journey to financial independence more interactive and inspiring, SUN LIFE created a 360- visual reality (VR) video transporting them to different scenarios based on their chosen life stage. This will encourage the viewer to live the dream and to start planning their future through Money For Life and Sun Life's insurance and investment products. 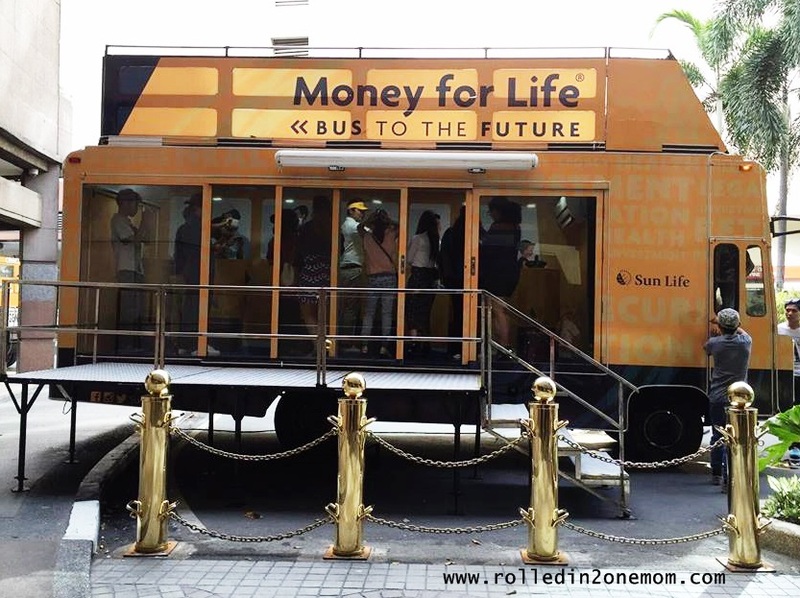 This interactive viewing of your journey to financial independence can be experienced inside the BUS TO THE FUTURE. It will roam around different malls and campuses nationwide. This will ensure that all people from all walks of life will get to catch a glimpse of their own future. The following dates and stops will be where you can hop onto the bus of your future! The good things is that financial advisors will be on-board to accommodate inquiries. 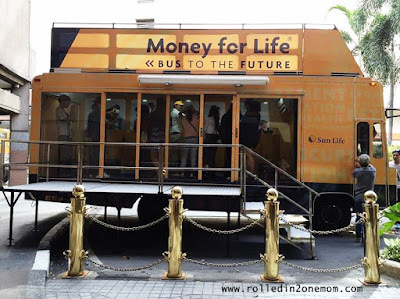 If you won't be able to check out the bus to the future, you will still be able to get a boost in your financial journey with the MONEY FOR LIFE e-PLANNER. 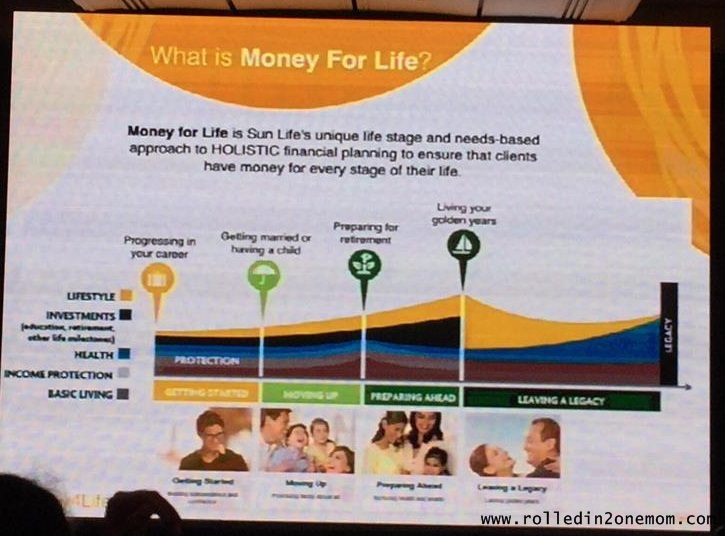 All you need to do is visit www.moneyforlife.com.ph - you can start financial planning, get product recommendations and even buy mutual funds from SUN LIFE ASSET MANAGEMENT Co., Inc.
At every stage of our lives, our needs become either bigger or smaller, harder or easier to achieve. This is the reason why we need advisors or even tools that can guide us towards our journey. Be it emergency, personal development, travel or education - SUN LIFE can customize for every Juan. I am one of those who had let so many chances pass, I could have invested a long time ago. If I had done so, the feeling of helplessness and regret for not being prepared earlier on in life would never have happened to me and my family. So, this FINANCIAL INDEPENDENCE MONTH - let us join SUN LIFE's celebration by being wise - invest our hard-earned money where we will be assured of growth and wealth. Make the bright choice now! Sun Life of Canada (Philippines), Inc. is a member of Sun Life Financial group of companies, a leading international financial services organization providing a diverse range of protection and wealth products and services to individuals and corporate customers. Sun Life Financial has operations in a number of markets worldwide, including Canada, the United States, the United Kingdom, Ireland, Hong Kong, the Philippines, Japan, Indonesia, India, China, Australia, Singapore, Vietnam, Malaysia and Bermuda. As of December 31, 2015, the Sun Life Financial group of companies had total assets under management of $891 billion. For more information, please visit www.sunlife.com. Sun Life Financial Inc. trades on the Toronto (TSX), New York (NYSE) and Philippines (PSE) stock exchange under the ticket symbol SLF. Hi Mama Whale. Thank you for this blog. It's Sun Life. 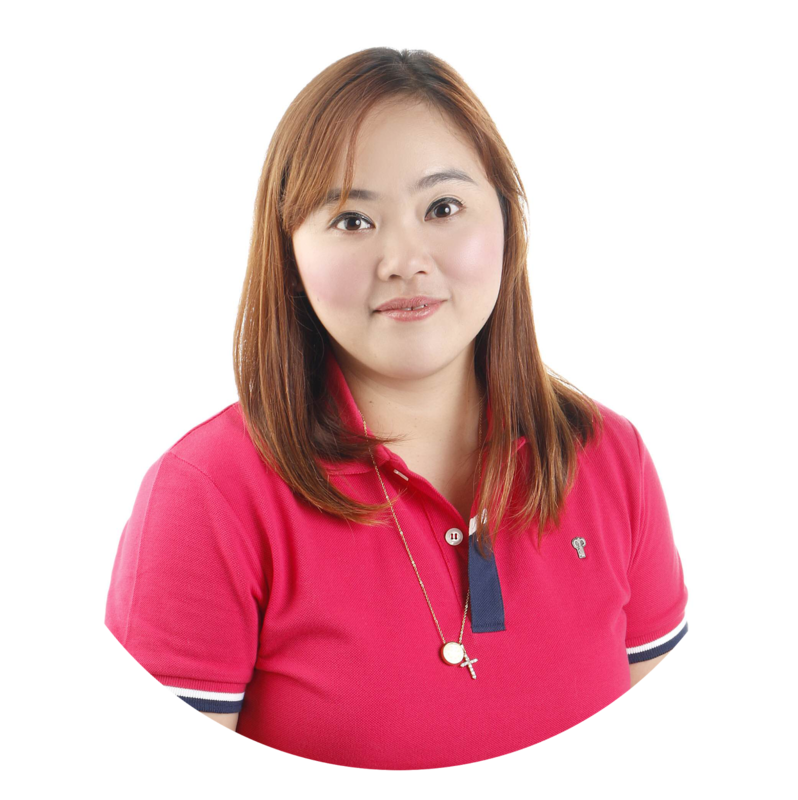 Are you one of Sun Life's Financial Advisor too?